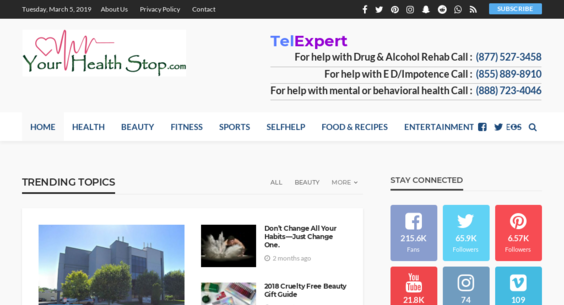 YourHealthStop.com — Website Sold on Flippa: Health related news site. 19 year old Premium Domain. High affiliate payouts. Health related news site. 19 year old Premium Domain. High affiliate payouts. According to Hypestat.com: "YourHealthStop.Com receives about 2,300 unique visitors per day and 8,510 page views per day which should earn about $94.00 per day from advertising revenue."